Venetian's signature series returns this summer with over $24 million guaranteed from May 13-July 28. The Venetian once again presents their popular DeepStacks series for a summer edition that starts May 13 and runs through July 28. This year's 10-week long DeepStack Championship Poker Series offers up more than $24 million in guaranteed prize pools across 116 events. 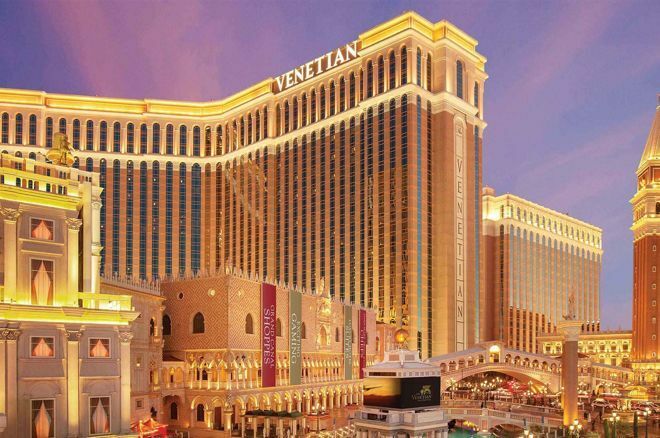 The signature events of the Venetian DS series are their two-day multi-flight $400 and $600 buy-in tournaments which come with guarantees of $100K and up. For those with less time, one-day events can be found throughout the schedule as well, and so can bigger buy-ins. Also on the schedule are 15 mega satellites that award seats directly into bigger championship events, scattered throughout the series. The 2019 summer edition once again sees Venetian hosting Mid-States Poker Tour (MSPT) and Card Player Poker Tour (CPPT) events. Note that Bounty tournaments with buy-ins of $200 feature $50 bounties, while those with buy-ins of $300-$400 come with $100 bounties. Bounty tournaments of $600 and $800 buy-ins have $200 bounties, and the $1,100 Bounty events put $300 toward the bounty portion. The $200 and $300 Rebuy tournaments offer rebuys for $100. The Venetian will also be experimenting with some $200 Progressive Bounty events, as you can see on the schedule. Also note, each NightStack starting flight, all of which commence at 6:10 p.m., will play down to five percent of the field and those who bag will return for Day 2 on July 6 at 6 p.m. to play it out. You can find the full schedule below. All tournaments last one day unless otherwise noted. Lead image courtesy of The Venetian.